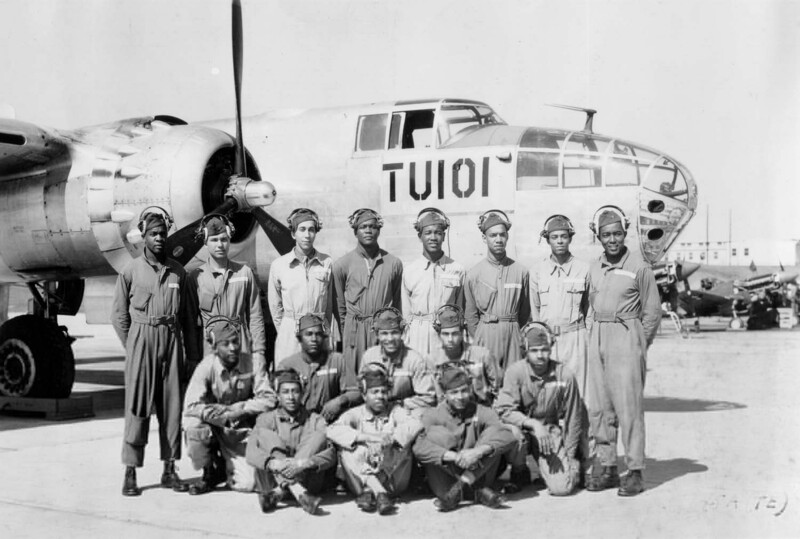 * In 1944 Stockton Field transitioned from an advanced 2-E school to a basic school. 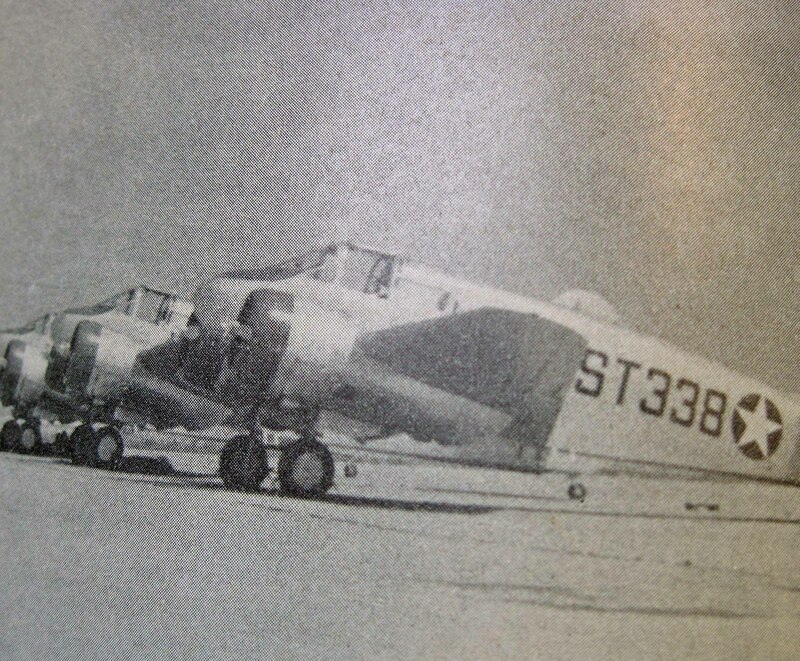 ** The Beech AT-10 was removed from service at Williams Field, AZ as the very low relative humidity and high heat was detrimental to the adhesives and compromised the structural integrity of the airframe. 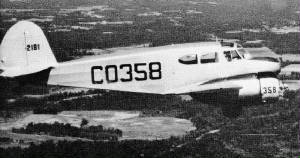 The aircraft type was relegated to operations in the central and eastern portions of the US where the relative humidity was higher. 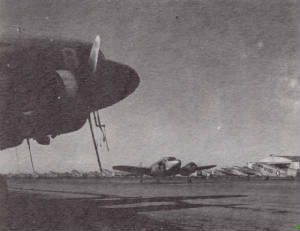 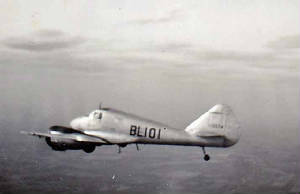 The AT-10 was constructed mostly of plywood. 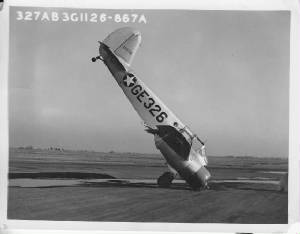 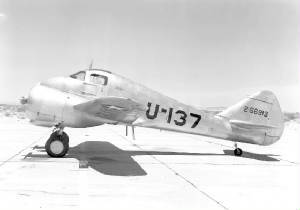 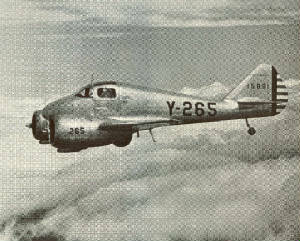 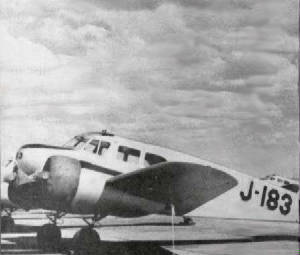 Note: The usage of the fuselage letter of " I " was originally utilized by Mather Field for its Centralized Instructor School and was applied to their Ryan PT-22 Recuits. 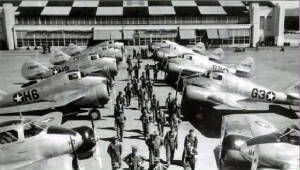 This school was later transferred to Randolph Field and eventually disbanded. 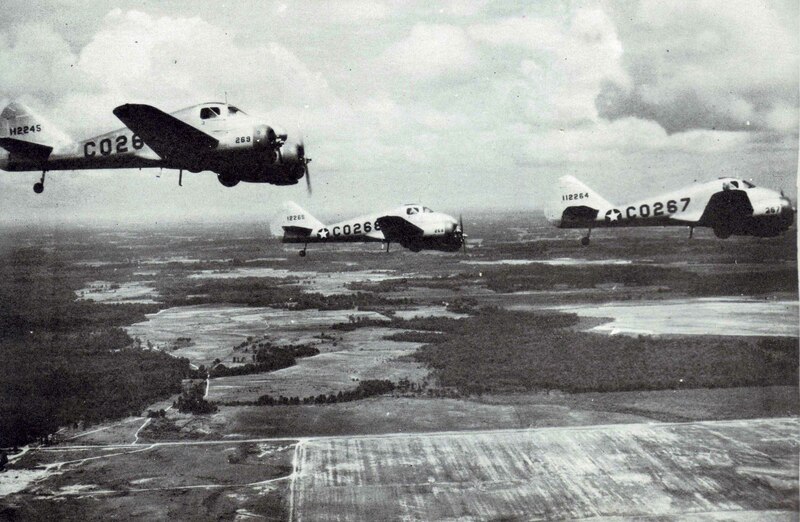 The letter was then re-assigned to Ft. Sumner AAF. 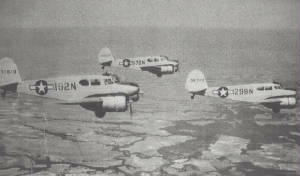 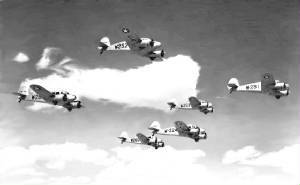 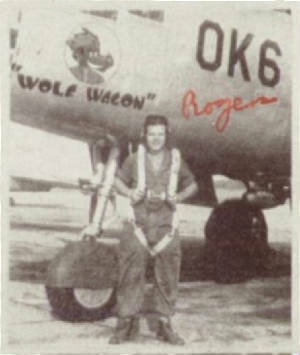 * 2-E training at Blackland AAF was a Sub-Base of Waco AAF. 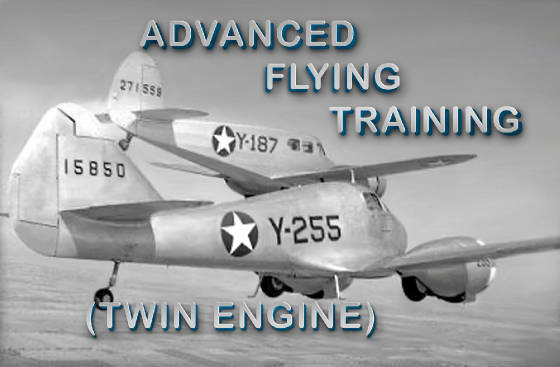 Note: Advanced 2-E flying training was conducted at Stewart AAF, NY and was exclusively for cadets at the USMA. 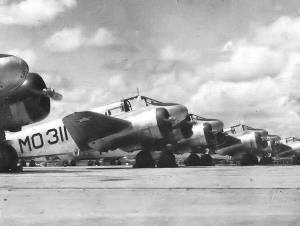 Their AT-10's carried no fuselage code. 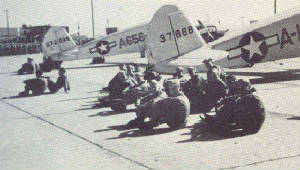 Cadets typically recieved 75-80 hours flight instruction at this level prior to moving to Transition Specialized Training. 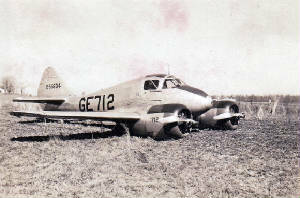 Curtiss AT-9 Jeep: The NMUSAF has the only remaining intact example in existance. 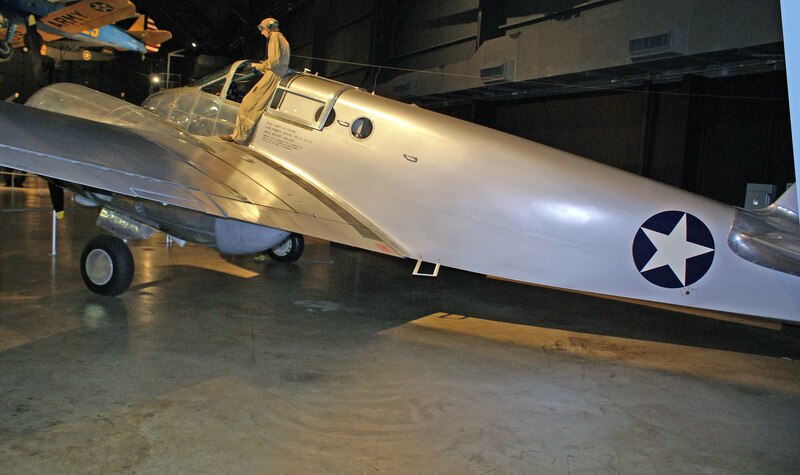 Beech AT-10 Wichita: The NMUSAF has the only remaining intact example in existance. 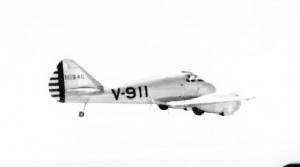 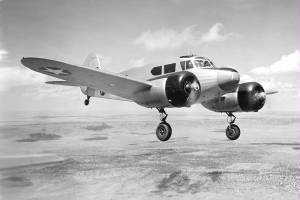 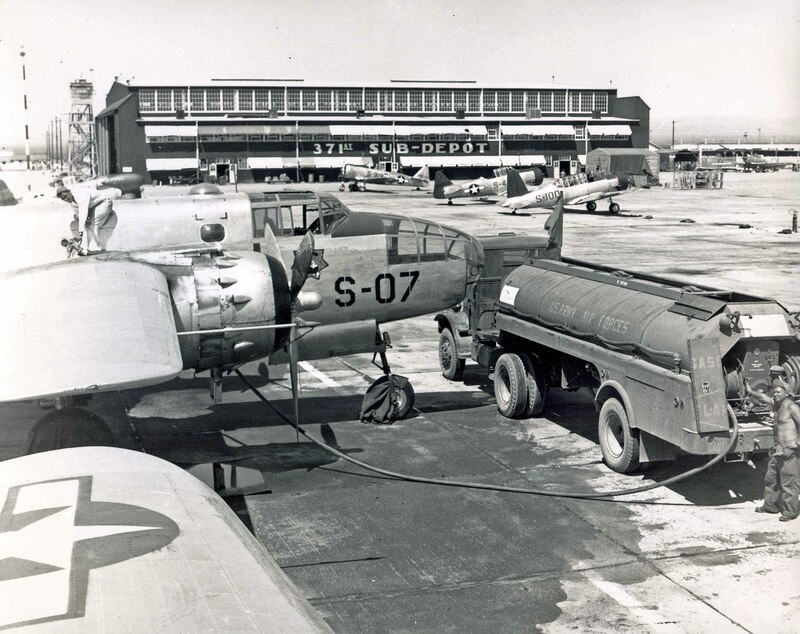 Federal AT-20 Anson: Following V-E Day all remaining aircraft were returned to the RCAF. 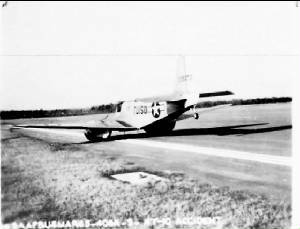 Curious Note 1: The Curtiss AT-9 Jeep was barred from post -WWII surplus sales as it was deemed too dangerous of an aircraft for civilian use. 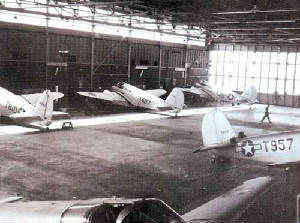 Hence, all were scrapped. 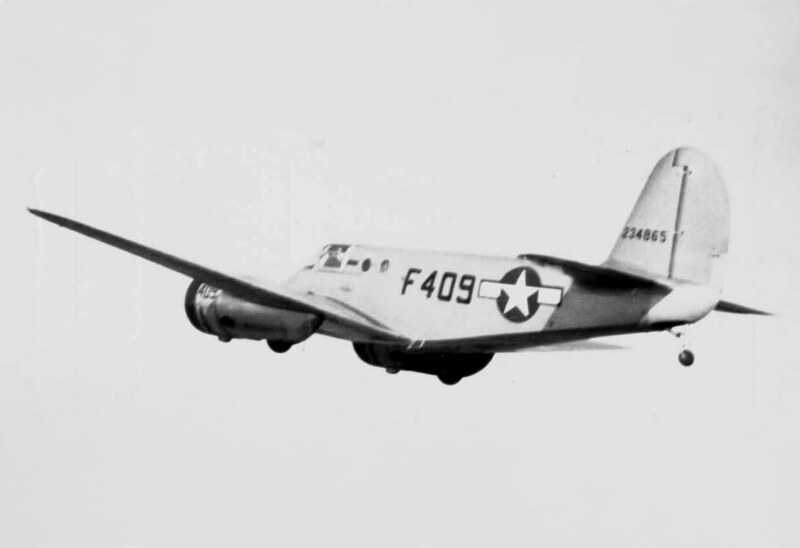 Curious Note 2: Post-WWII purchases of the Beech AT-10 were made primarily for the purpose of scavening the engines for spares as they were usable in the Stearman Kaydets. 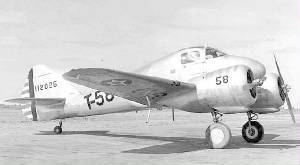 "V" coded AT-9 based at Victorville AAF, CA. 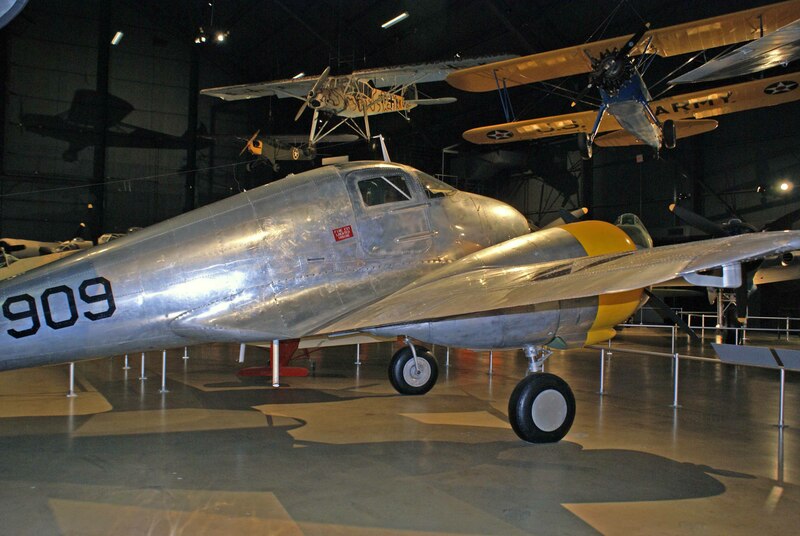 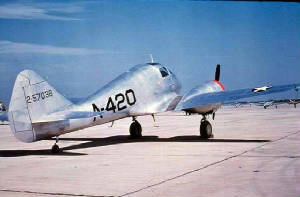 This Beech AT-10 Wichita is the only remaining intact example of the type in existance and is on display at the USAF Museum in Dayton, Ohio. 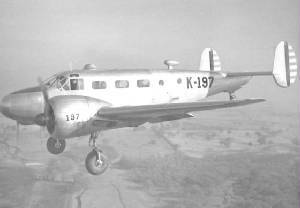 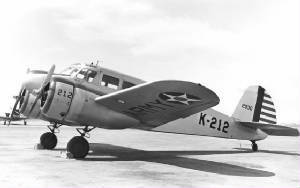 "K" coded AT-20's based at Stockton AAF, CA. 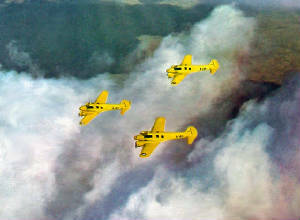 Note original RCAF yellow paint scheme.